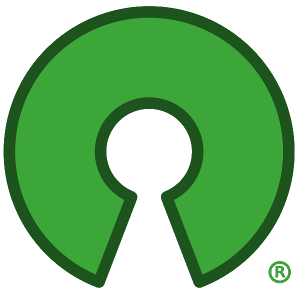 that their company is in a better position to define what open source is than the OSI or people who, today, consider themselves part of the open source community. They see no value whatsoever in making their offerings attractive to developers, whom they term "a closed group of people"
There's a lot of confusion to unpack in these claims. First and foremost, the OSI maintains the Open Source Definition as a kind of constitutional definition of open source. We believe that the transparency of the definition allows people to understand our principles and debate them. Public mailing lists provide forums for discussion of the application (and even amendments) of these principles to software licenses and projects. A single company making a discretionary statement that they are providing open source without using any publicly accepted license reviewed and accepted as meeting the Open Source Definition is as likely to be erroneous as a scientist proclaiming a new theory without publishing it for review. Secondly, the OSI has taken a strong position against software licenses that attempt to condition the relationship between the software application and the operating system upon which it runs. We specifically rejected a license drafted by The Open Group which required that to enjoy the benefits of free access, use, and redistribution of the software, the software could only be run on an operating system licensed under an OSI-approved license. Naturally we would reject an even more specific license that required the operating system to be Linux, thereby contradicting one of Aras's main claims that open source is only valid on Linux. On the contrary, it is valid on Solaris, BSD, and, as the package Cygwin demonstrates perfectly, on Windows as well. There is plenty of software that is only functional on a Microsoft Windows platform. Such software can be open source if licensed under an OSI-approved license. However, just as software cannot be open source if required to run on Linux, softare tied to the Microsoft Windows platform by license, not technical limitations, cannot be open source. This is the kind of important distinction that the Open Source Definition informs, and the kind of distinction that keeps the Open Source playing field fair and level. It is difficult to tell whether Aras is simply misguided in their understanding or devious in their intent. It is unclear whether they are promoting their misunderstandings independently, or whether they have been given some incentive to do so by a third party. What is clear is that the companies who have the most to lose by betting against Open Source are continually looking at ways to undermine Open Source and to undercut Open Source advocates, and the Open Source community must recongize this and be vigilant. And we must challenge those statements and actions that dilute our efforts, whatever the motivation. If scientists are justified in setting the bar for what constitutes a new theory and what is considered false science, the open source community should have a say in what is a novel and worthwhile extension to the open source model, and what is fake. Should we be more concerned that the Aras approach thus far fails all tests, or that they are so proud of their failure?